1.brr quilt by Elephant stitches!! I have to make one!! It's pure love at first sight!! And that fabric line!!gosh!!!! 2. House brooch by La Cravattedychien, eeekkkkkkk!!!adorable!! Daphne the girl behind La Cravatte dy Chien can seriously make wonders!!! 3. 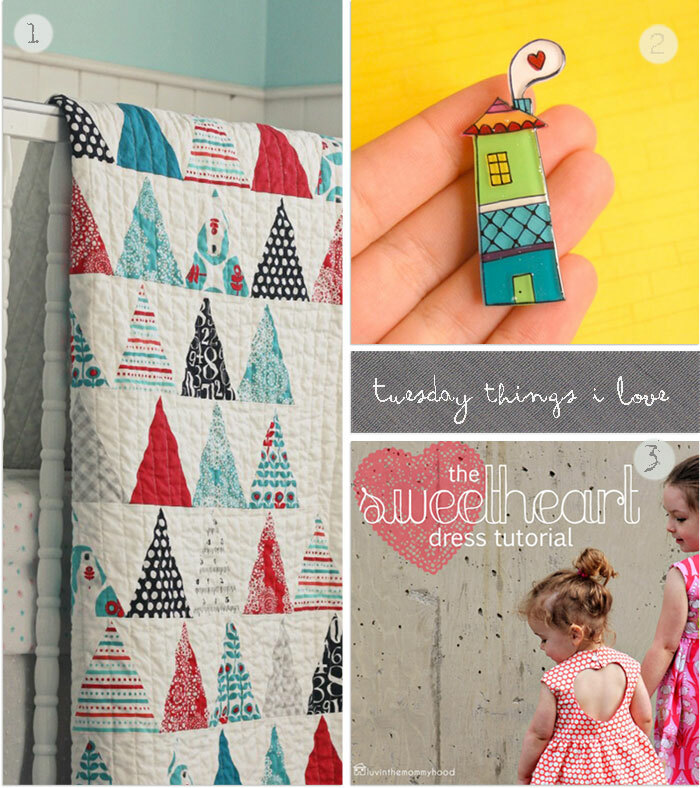 The Sweetheart dress by luvingthemommyhood with an awesome tutorial!! Wish I wasn't sssoooo scared of little dresses and go ahead and try one for my sweetheart niece <3. that quilt is perfect! I love your inspirational attitude, and hope you day matches it! Is it too early for Mother's day? ?